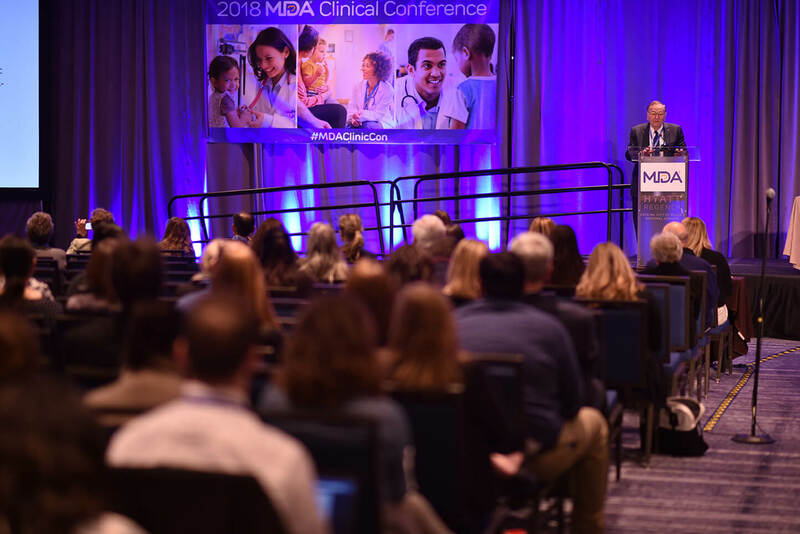 Last week, I had the opportunity to attend the 2018 MDA Clinical Conference in Arlington, Va., to write about it from the patient’s perspective. I am always excited to attend conferences that bring together stakeholders in the neuromuscular disease community. I love meeting fellow patients, and I especially love learning about the latest scientific and clinical advances. It is a hard-won love, born out of many years of frustration. I have been living with the effects of limb-girdle muscular dystrophy type 2B/Miyoshi myopathy for the past 10 years, and once the muscle weakness began shortly after graduating from college, my life was turned upside down. 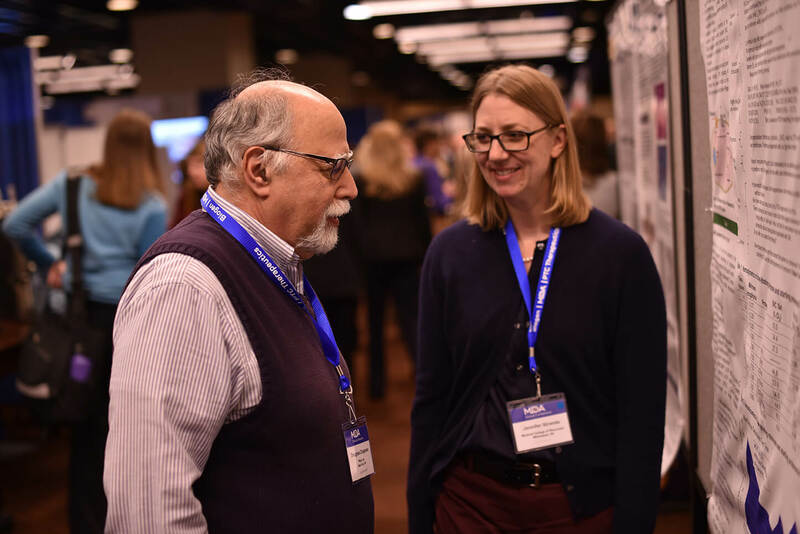 Meeting key players in the neuromuscular disease community and becoming a lay expert on scientific advances in the clinic have kept me hopeful, and on many days, sane. I had high hopes going into this conference, the second one I have attended for MDA. 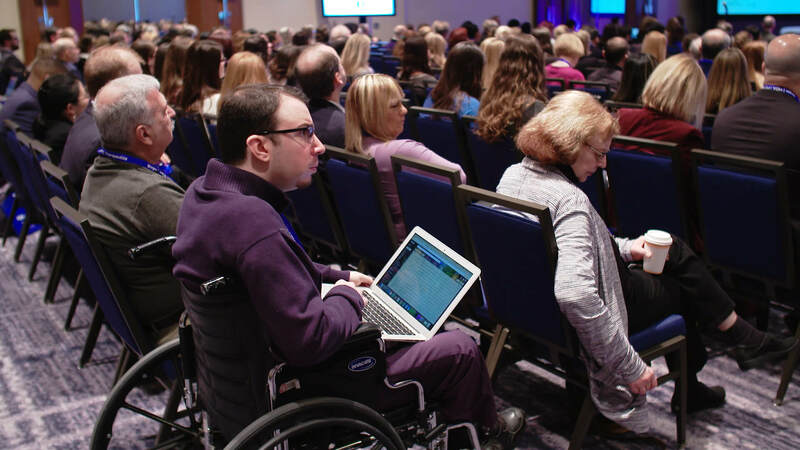 Four years ago, at the 2014 MDA Clinical Conference in Chicago, many speakers mentioned the hope of therapies on the horizon, but at the time, none had been approved. Four years later, thankfully, that is no longer the case. Since 2015, six drugs have been approved by the FDA, including well-known therapies Exondys 51 for Duchenne muscular dystrophy (DMD) and Spinraza for spinal muscular atrophy (SMA). I was interested to see the latest data on these therapies, learn what else was in the clinical pipeline and, most relevant to my situation, hear how clinical care has improved in four years’ time. As I’ve recently undergone a transition from walking to using a wheelchair, I was especially interested in how updates in clinical best practices and advances in technology could make my day-to-day life easier and, if possible, more pain-free. The theme for the conference was “Unprecedented Times: The Changing Landscape in Neuromuscular Disease.” It was a bold theme, but one that I hoped would live up to the hype. It became clear almost immediately that it would. I attended this conference with my parents, who are my caregivers at this time. I was glad they were able to come so they could hear the presentations firsthand and also meet the various stakeholders attending the conference, including the wonderful MDA staff. The conference began on Sunday night with a keynote address from Dr. Jerry Mendell of Nationwide Children’s Hospital in Columbus, Ohio. Dr. Mendell has been involved in muscular dystrophy research for more than 40 years and is uniquely qualified to talk about how research has progressed during that time. In his talk, Dr. Mendell presented data from a phase 2 SMA gene therapy trial of which he’s part that is currently taking place at Nationwide and elsewhere throughout the United States. The results from the trial were jaw-dropping. After stating that most type 1 SMA patients do not live to age 2, Dr. Mendell proceeded to state that every patient in the trial has not only lived to age 2 but also started to achieve milestones that would have been impossible to hit without the therapy. Babies are holding up their heads. Sitting up. Breathing with minimal or no assistance. Even crawling, and in a few cases, walking. To reinforce the incredible results thus far, Dr. Mendell played a video of babies enrolled in the trial hitting their milestones, including one baby walking for the first time. It drew a round of applause, and, looking around the room, some in the audience were getting emotional at the sight. It was hard not to. At the end of his talk, Dr. Mendell mentioned how a trial is now underway to bring the same gene therapy treatment to boys with Duchenne. Although very early in the trial, the results have been nonetheless promising. If successful, the study could further validate a therapeutic method that could have promise for many forms of muscular dystrophy, including, perhaps, my own. After Dr. Mendell’s opening presentation the night before, the conference kicked into high gear Monday morning. New MDA CEO Lynn O’Connor Vos addressed the crowd of more than 700, introducing the theme of the conference and the programming to come. She then recognized Harley Davidson for 38 years of loyal partnership, which has resulted in the iconic company raising more than $103 million for MDA. Before Vos introduced Ed Moreland, director of government affairs at Harley Davidson, to the stage to speak about the partnership, a quick video clip played from a past MDA Labor Day Telethon. In the clip, Harley Davidson’s then-CEO presented the company’s first donation to MDA. Watching Jerry Lewis’s reaction (“Wow!”) to the check amount made the audience laugh. If Jerry could see what has become of this partnership since, I know his reaction would be the same. 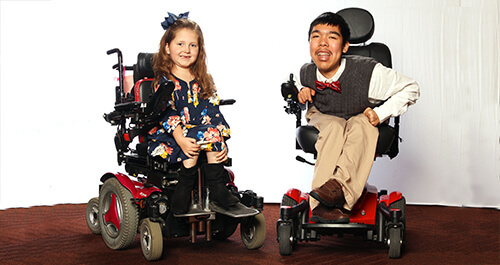 Shortly after, the crowd was introduced to MDA’s new National Ambassadors, 6-year-old Faith Fortenberry of Waco, Texas, and 17-year-old Justin Moy of Concord, Mass. It was clear why, instead of choosing between the two, MDA decided to select both as representatives of the organization. Each has a compelling story to tell. Justin, who has congenital muscular dystrophy (CMD), is the embodiment of MDA’s Live Unlimited motto. A senior in high school, Justin will be heading off to college next year with the hopes of becoming a biochemist and muscular dystrophy researcher. When he addressed the audience, it was clear he was a natural speaker, and I know that he will blow away audiences with his message of perseverance and hope. Faith, who has SMA type 2, is a bundle of energy. I first met her Sunday night after the keynote address when she was flying around in her wheelchair while handing out cups of water to attendees waiting in line for dinner. Her personality and intelligence alone would make her an ideal ambassador. But what makes her story especially compelling, and worth sharing with MDA partners throughout the country, is how she is personally benefitting from treatment with Spinraza. According to her mother, Leeann, Faith has already regained abilities she had lost, including improved movement in her arms. She is a testament to the importance of MDA’s mission to fund groundbreaking research. And to think, in one year, she has gone from not being able to lift her arms to handing out cups of water. Amazing! At barely 9 a.m. on Monday, the conference was already off to a great start. As I sat in the back of the room, taking it all in while typing notes on my laptop, I could sense that this conference was already building momentum. After introducing the National Ambassadors, the conference transitioned into a session called “What’s New In …” In these talks, researchers presented the latest findings and clinical updates for some of the most notable neuromuscular diseases, including ALS (amyotrophic lateral sclerosis), DMD, myotonic dystrophy and SMA. Although none of these presentations covered my disease specifically, I couldn’t help but feel a sense of hope. The sheer number of clinical trials taking place is staggering—there are too many to individually list in this recap post. Additionally, I was encouraged to see that care standards are continuing to improve, which is essential in maintaining patients’ quality of life. I couldn’t quite follow all of the science, but I was able to pay specific attention to the general tone of the speakers’ voices, and to their concluding thoughts. Each presenter said this was a groundbreaking time in research, one with game-changing strategies to combat neuromuscular diseases. Four years ago, a lot of this research at the time was conceptual, or just barely getting off the ground. Now, researchers are referencing FDA approved-treatments, which until only recently was just a dream. At lunchtime, I talked with my parents about all that we had just heard. I was glad they were able to get a sense of the progress being made. Parents and family members have just as much invested in a loved one’s outcome as patients themselves. After lunch, the talks took a more personalized, tech-centric approach. The first presenter talked about the usage of CRISPR/Cas-9, a gene-editing tool getting a lot of mention in the news as a potential technique to correct mutations in DMD. Next, a presenter from the Broad Institute in Cambridge, Mass., discussed his team’s process of finding mutations in hard-to-diagnose cases of limb-girdle muscular dystrophy (LGMD) using novel techniques such as whole-genome and exome sequencing. As someone with a form of LGMD, this greatly interested me. Although I was able to receive a genetic confirmation of my condition, I can empathize with those who have had their genome sequenced only to have it come back inconclusive on subtype. The certainty of an accurate diagnosis can mean the world to a patient, and can affect what treatment he or she ultimately receives. Even if there is no specific treatment, a person can at least put a name to what he or she is up against. Another presenter from a research firm called IQVIA discussed the role of digital health apps in tracking metrics that are relevant to those living with neuromuscular diseases. There is great potential for mobile technologies to generate useful data for patients and clinicians. His overview of the digital health space, and the type of sensors and devices that can generate data, was a fitting transition into the final talk of the day, given by MDA Senior Vice President and Scientific Director Grace Pavlath. Her talk centered on MDA’s MOVR initiative, a hub for patient data that can better match patients to clinical trials and that one day can provide data necessary for personalized medicine. Pavlath mentioned how 80 percent of clinical trials are delayed and how MOVR can help to fix this crucial bottleneck. As someone fascinated by data, I found this presentation to be of special interest, and I can see how useful a tool it can be for researchers and clinicians. By the end of the day, I was exhausted, but overall, I enjoyed the presentations. Even just sitting in a chair and taking notes, for someone in my advanced condition, can be tiring. Fortunately, there were frequent coffee breaks that kept me alert. Although tired, I was looking forward to doing it all again the next day. Tuesday’s presentations were a complement to Monday’s research and data-focused sessions, with a special emphasis placed on clinical care. Whereas Monday’s programming was for all attendees, Tuesday was a series of breakout sessions happening concurrently in different rooms. While looking at the agenda, I tried to pick out topics that either were relevant specifically to my condition or were on a topic that interested me. In the morning, I attended a session on bone health, with three presenters approaching the topic from different angles. Where I am in my disease progression, falling and breaking a bone is a major fear of mine. I can still walk, but it doesn’t take much to knock me over. If there was any information I could learn to help mitigate my fear, I wanted to know about it. During these sessions, I learned a lot about how the skeletal and muscular systems are intertwined, and how, in someone with muscular dystrophy, they are often compromised together. It was also enlightening, and slightly unsettling, to think about how steroid regimens and caregiver transfer accidents are major risk factors that can contribute to broken bones. Researchers, fortunately, are aware of this risk and are trying to develop steroids that preserve bone integrity and strength, plus techniques to more safely transfer patients without injuring the patient or caregiver. While listening to the talk about fall prevention, I made several notes to do more research on products mentioned. A Hoyer lift, for example, is something I had heard about but never really looked into. After listening to several anecdotes of patients falling and breaking bones, I was motivated to start the process of looking into one. It was encouraging to see the engagement of the clinicians in these sessions. I could tell that they were interested in the material and in taking back to their respective Care Centers all they had learned. After a much-needed nap (trust me, if I didn’t take one at this time, my Tuesday wrap-up might have been one sentence! ), I sat in on a session about telemedicine in ALS. Although the presentation was specific to ALS, it was clear that significant advances have been made in telemedicine over the years in terms of call quality and long-distance possibilities. I could easily see this method one day being a form of care for many patients in rural areas, although, of course, it is an imperfect method that still needs tweaking. After the telemedicine session, I switched rooms and caught a quick presentation on the role of nutrition and how it can be an intervention in helping to keep patients healthy. My morning strategy was to try and bounce around from room to room to catch one or two sessions on different topics. However, for the afternoon block, I made it a point to sit in on the newborn screening (NBS) sessions. It’s a subject that interests me greatly, especially because, with the improvement in diagnostics and with FDA-approved treatments, early diagnosis might soon mean early intervention. R. Rodney Howell, chairman of the MDA Board of Directors and a genetic specialist himself, gave an introduction into the history of NBS and why it is crucial to get an accurate diagnosis of life-threatening diseases, such as SMA, as soon as possible. Of course, I thought that as soon as a new diagnostic screening technology was developed states would immediately start using it. I was wrong. The next session, a panel discussion with advocates from the National Institutes of Health (NIH), the National Organization for Rare Disorders (NORD), March of Dimes and MDA proved just how difficult it is to get a newborn screening test added to state screening panels. The lively discussion centered on funding gaps and how they can be addressed at the state and national levels. Adding new tests can be cost-prohibitive for many states, and in order for them to be added, a major advocacy push is needed to prove their value. The discussion only underscored how important patient advocacy is in fighting to get a disease like SMA added to newborn screening panels. Fortunately, it appears SMA soon will be added to the list of disorders that are recommended by the Secretary of the Department of Health and Human Services (HHS) for states to screen as part of their state universal NBS programs. Then the battle to get other neuromuscular diseases added will begin anew. I ended the day by checking out a few sessions on best practices in care coordination, which included an animated discussion on pain points clinicians throughout the country face on a whole range of topics, from the ideal number of patients to see on a given day in a clinical setting to how to best communicate end-of-life care options with patients. All in all, Tuesday’s sessions dealt more with the day-to-day care of patients. Again, I was encouraged to see the clinicians’ passion — they clearly care a great deal about the patients they see every day. They were there to learn and to bring back best practices to implement with their own patients. During the evening reception, my parents and I made our way around corporate sponsor booths and the posters being presented by researchers. Even after a long day, everyone was very friendly, and we valued the opportunity to get to know researchers working on finding effective treatments and improving lives. Wednesday was focused specifically on notable clinical trials. What especially struck me, once again, was the SMA data. A representative from AveXis, the company that is running the gene therapy trial that Dr. Mendell helped to shepherd into the clinic, presented in-depth data on how the trial is going. As Dr. Mendell mentioned in his keynote address, babies are surviving and hitting milestones that were once impossible for someone with SMA type 1 to achieve. The data also reinforced a talk later on from a researcher at Columbia University on the value of administering Spinraza before onset of symptoms. And that tied into the importance, once again, of newborn screening — the earlier babies are diagnosed, the quicker they can receive the drug, which could have significant benefit later on. The presentations ended at noon, and just like that, the conference came to a close. It was a whirlwind four days, but it left me with a lot to think about and reflect on. Overall, the conference was a fantastic experience, one that I was fortunate to be part of. 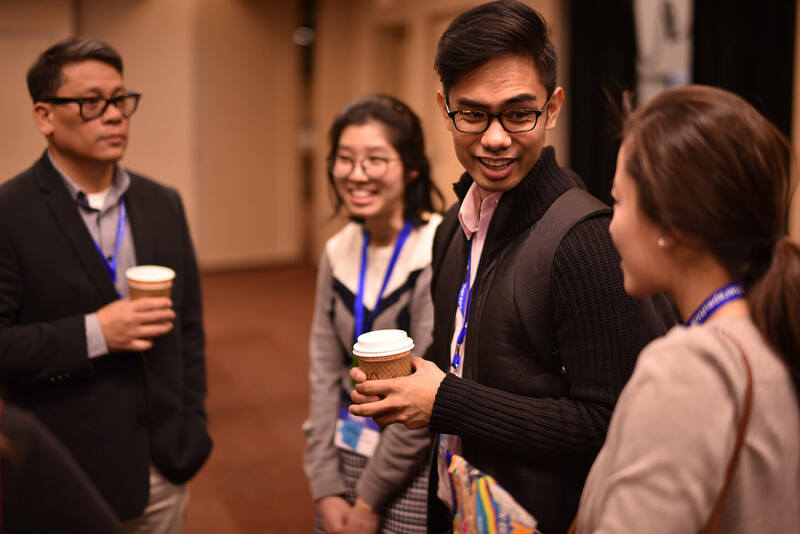 I got to meet many collaborators across the health care spectrum, from clinicians to researchers to everyone in between. All the attendees were compassionate, driven by a common goal of improving the lives of patients. I found two distinct takeaways. First, as new drugs come to market, they dramatically change patient care. Newborn screening becomes even more important. Instead of just telling parents that their child has a devastating disease for which there is no hope or cure, now clinicians can tell them about potentially life-saving and life-altering interventions. An influx of pre-symptomatic babies to MDA Care Centers who have received a diagnosis of SMA or, in the future, DMD or another neuromuscular disease, can benefit from a proactive approach in their care. With potent treatments and improved newborn screening capabilities, the overall care experience continues to evolve. New measurements, technologies and knowledge let support staff and clinicians better perform their jobs and make them better prepared for the increase in the number of patients enrolled in clinical trials. Many more children can have the possibility to grow into adulthood, fundamentally changing the narrative about what is possible in their lives, and with it, the care they receive. I think the conference did a great job of addressing a host of issues that will equip professionals to give top-notch care in MDA Care Centers. My second takeaway is a genuine feeling of hope and optimism. I’m not talking false hope, or the kind of blind hope that makes many people roll their eyes. I’m not hopeful just because MDA is having me write about the conference. To be honest, I’m not a bubbly optimist. Instead, I like to think of myself as a pragmatist, never getting too high or too low at my plight. Maybe it’s a defense mechanism against disappointment, but it takes a lot to make me feel a sense of boundless possibility. At this conference, however, I came to the undeniable realization that progress is being made, and it’s starting to happen faster and faster. Do we have cures yet? Sadly, no. And there is no question that some diseases are seeing faster advances in treatment than others. But deep down, I know that if progress can be made on more visible diseases, the techniques and learnings will eventually trickle down to my own. That makes me dream that someday, the same positive results will happen with my own condition. If innovative techniques — such as gene therapy or gene editing — truly do work, they can be applied to a host of other diseases. I’m also heartened to see the advances being made in personalized medicine, clinical best practices and data collection. Nutrition, bone health, muscle and cardiac assessment — these are all relevant topics that have, and will continue to have, an impact on my life. Knowing that clinicians have been equipped with the latest knowledge makes me feel hopeful for the thousands of patients around the country, including myself, who rely on MDA Care Center teams for their care. Science has come a long way, even in the four years since I last attended this conference. As my mom likes to tell me, nothing worthwhile in life comes easy. Although I sit patiently, waiting for a treatment to halt and reverse my disease, I know that it’s a matter of time. I’m realistic in knowing it will take many more years, but I also don’t think we’re talking the distant future anymore. I am hopeful that in that not-too-distant future, conferences like this one will be jam-packed with clinical trial data. FDA-approved therapies will become the norm. And a young girl regaining use of her arms will no longer be a medical marvel but a common occurrence. For more information on the MDA 2018 Clinical Conference, check out our highlights brochure. Help kids and adults like Chris continue to live longer and grow stronger.